AdviceOne LLC is a growing wealth management firm that offers financial planning and asset management for a broad client base. This is a fast-paced firm that thrives on constant change. We have lofty goals within our industry, and we need more quality team members to fuel our quest for expansion. Become a part of the AdviceOne family! We have opportunities for recent graduates looking to start at entry level and for candidates who already have work experience. Full-time and part-time positions are available. Financial services experience not required! 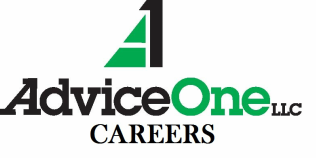 At AdviceOne, you will have the chance to be in the driver’s seat of your own career. Whether you prefer providing incomparable customer service, leading and managing a team, or operating behind-the-scenes, we have a place for you. We offer limitless growth opportunities in all areas of our firm by focusing on putting each of our team members into the right seat for them to excel. You’ll need to be flexible with regard to your job responsibilities as your position may change depending on your skill set. Together we will find the best role for you!